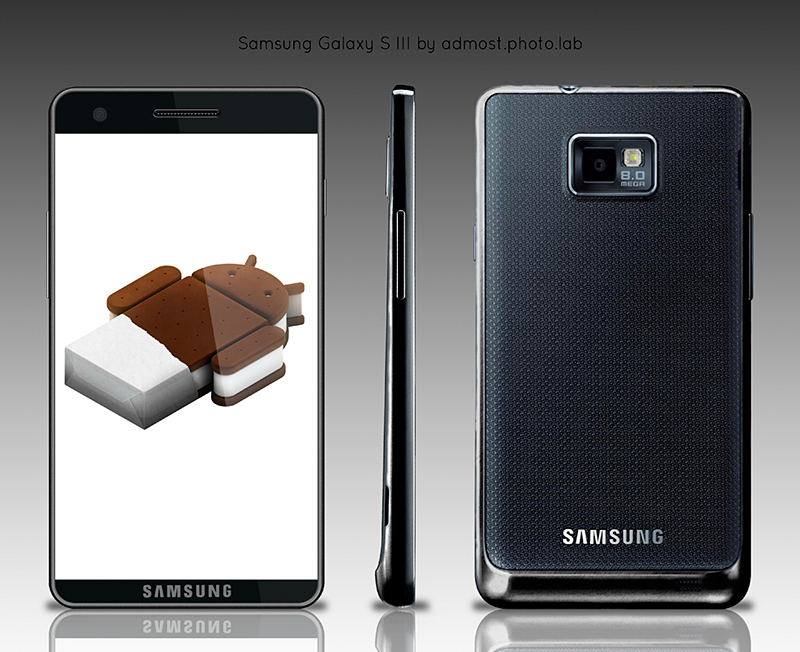 The image below shows a concept of the Samsung Galaxy S III, created by admost.photo.lab, Ukraine and sent to us by Yuriy Povkhanych. This design looks very much like the Galaxy S II, with the dotted surface at the back of the device and the curved lower side. The screen seems a bit bigger, so we might be dealing with a 4.5 inch display, that adopts the edge to edge technology if I’m not mistaking. This model runs Android 4.0 Ice Cream Sandwich and it’s as thin as its predecessor, plus it features the same 8 megapixel camera. So what are we dealing with here? Well, the screen is bigger and wider and the Android version is evolved… other than that this is the same handset. I also expect a quad core CPU to be inside, Nvidia’s Kal-El maybe.